This is a battle between New Japan (Kuwato) and NOAH (Kiyomiya) rookies. NOAH young lions wear green instead of black like in New Japan, but both are required to have boston crab as finishers, as was the case here. A lot of the match was Kuwato being worked on. Kiyomiya got the win with a Boston Crab. Kuwato wasn’t pleased after the match and the two brawled for a bit, slapping and kicking each other. Apparently my theory about all NOAH rookies wearing green was wrong. Tomoyose is a NOAH rookie as well, but is wearing black. Apparently all NOAH rookies choose a color to wear, and Tomoyose’s color is black. Kanemitsu is taller than Tomoyose, but Tomoyose is more stout and looks a bit more physically imposing. He controlled a lot of the match, but Kanemitsu made a comeback and had him in a Boston crab for a long time. He eventually escaped, but Kanemitsu had his arm and was going for a submission when the bell rang, a time limit draw. Good, basic match. Kanemitsu went for a handshake after the match but Tomoyose would have none of it. Tomoyose eventually was convinced to shake hands, but then Kanemitsu tricked him by slapping the taste out of his mouth and bailing. These New Japan kids are pretty rude this morning. Kumano is another NOAH rookie; he wears red. Yoshida represents Michinoku Pro. The latter had a lot of good looking strikes. This was solid, if not unspectacular. Kuwano got the win with a chokeslam/spinebuster combination. Finlay showed a lot of great fire early. In terms of presence and look he really outshines White, who is a bit better in the ring. Ogawa controlled a lot of the match and kept it on the ground, working on Finlay’s left arm. Finlay made a good comeback and kicked out of a back suplex. Finlay looked like he was going to capture Ogawa’s arm in an armbar, but in transition Ogawa held him down and pinned him. Cool finish to a pretty solid match. This was a total comedy match, at least the first half of it. Genba’s gimmick apparently is that he likes to use the testicular claw on everyone, as he did during the early parts of the match. Taguchi wore an afro like Yone’s, I guess to match. NOAH and Taguchi had a chop battle and Taguchi teased doing the Flair flop, since that is Jado’s thing (he’s Captain NOAH, spoilers) but NOAH fell anyway. This was VERY LONG. Not terrible or anything but felt way longer than it needed to be. This was at least a twenty minute segment or longer when it needed to be half that. Taguchi finally got the win for his team after two sliding hip attacks on Genba. Captain NOAH cut a promo after the match. No idea what he said. This was pretty good. White does the little things Finlay doesn’t that really add to the match, though Finlay is a bit more dynamic in what he does. Marufuji gained control early but White made a comeback and hit some very nice spots. This was one of the first times where he did more than just the basic stuff he does in his prelim matches and didn’t look totally out of place, though there were a few moments that looked a bit off. Shiozaki eventually cut him off and won with the sliced bread. This was given some decent time and was a very good match while it lasted. Juice has definately improved since working regularly in Japan. I wouldn’t say he’s as good as Finlay or White, but he’s perfectly fine and doesn’t look lost out there - he gets it. Much like the story of other matches on this card, Shiozaki worked on Robinson after dodging some punches and was in control until Robinson made a comeback. He kept kicking out of nearfalls, but eventually he could not kick out of a sick lariat dished out by Shiozaki, and that was the end of Robinson. Pretty solid match. New Japan old guard were the faces here. Storm and Nakanishi traded big guy spots, which is funny since Storm is about a head shorter than Nakanishi. I’ve complained on here before that no one should buy Nakanishi and Nagata’s finish because they’ve never submitted anyone with the armbar/torture rack they do. Well this time, it actually did work. While Nagata didn’t have an armbar in, he did pin Quiet Storm with a backdrop suplex while Nakanishi had Taniguchi in the torture rack. Perfectly okay eight man tag, but nothing memorable. Nagata got a mic and introduced his two guys that are training in the New Japan dojo. One is Ota, who is a high level wrestler, and Kitamura, who is also a wrestler and jacked to the gills. 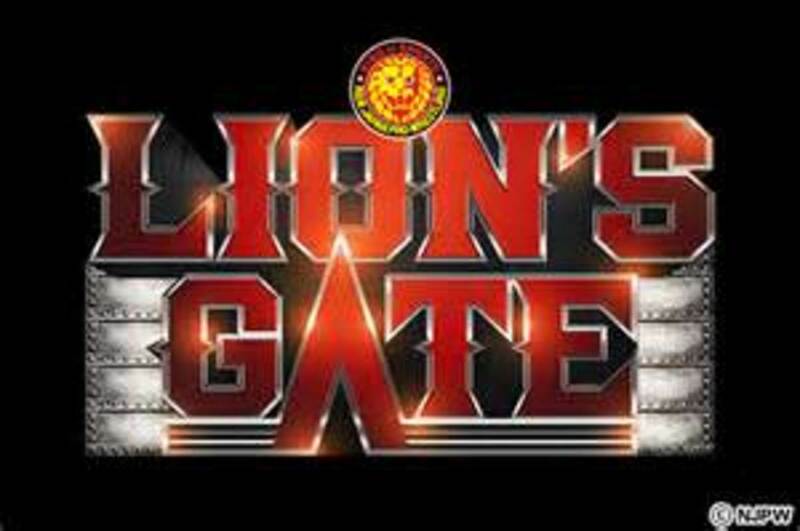 He teased they might wrestle on the next Lion’s Gate show. For the most part, everything was good. Marufuji/White was probably the best match on the show.